Scape Greenwich opened in September 2013 on the Greenwich Peninsula, a short walk from The O2 and Ravensbourne. 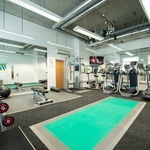 University of Greenwich, GSM and Trinity Laban are also close by. The nearest London Underground station is North Greenwich, and from here you can reach central London on the Jubilee line in 10 minutes. You can get to Birkbeck, University of Sunderland London, University of Westminster and King's College within 25 minutes on the tube; and with eight bus routes Goldsmiths, LCC, Kaplan and London South Bank University are all within 20 minutes. 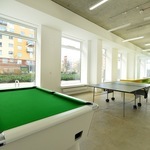 Scape Greenwich has all of the facilities you need to make the most of your time at university. 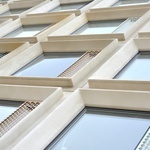 At the heart of the building, our warm and welcoming reception is staffed 24 hours a day, 365 days a year. At Scape, we're always happy to help – whether it’s answering questions about the building, what's around Greenwich or just a friendly chat. 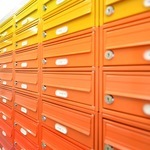 With secure electronic access, 24-hour security and CCTV, you'll always feel safe at Scape. 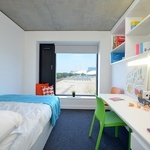 Designed by award-winning architects, AHMM, Scape Greenwich has 280 premium studios, with 100+ rooms discounted for students nominated by Ravensbourne. 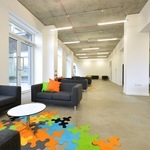 The building has a campus feel with lots of communal space. Our large, open-plan communal kitchen opens up onto a comfortable dining area where students can cook and eat together. 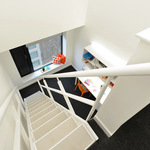 There are several study areas where you can connect with other students in the linked, double-height study areas, or you can always study privately in your room. 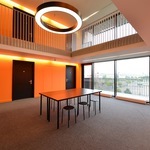 High speed internet and Wi-Fi cover the entire building, so you're always connected. 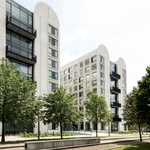 Communal balconies on every other level overlook the local parkland and offer stunning views of Canary Wharf. 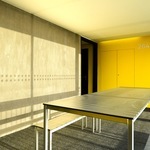 Our studios have been designed by award-winning architects based on student feedback. 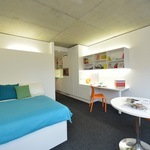 Each student studio has a comfortable three-quarter bed with built-in storage, carpeted flooring, and recessed lighting so you can get the best out of your time at uni. With a large study desk, high speed Wi-Fi internet, magnetic whiteboard and ambient lighting, these studios have everything to help you study. Every student at Scape Greenwich has their own private kitchenette with a mini fridge and combination microwave/grill and colourful en-suite, so everything you need is all in one place. Private heat controls in your room mean you’ll never be too cold, and Scape provides a safe for valuable belongings in every studio room. 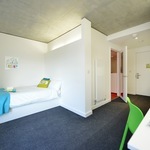 Scape Greenwich student living from Scape Student Living on Vimeo.